Valid from 1 – 30 November 2018. Miniumum three-night stay, Friday – Sunday only. Luxury stay in private villas or suites. Daily healthy menus with detox drinks. Yoga in the desert and flying yoga in the gardens. Daily treatments at the spa, brunch and other activities (additional cost). 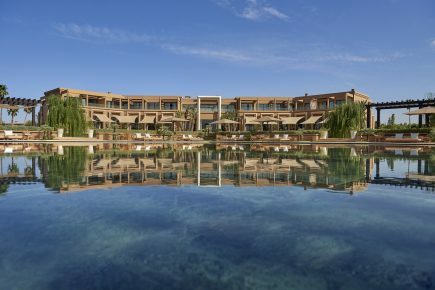 Round trip transfer from Marrakech Menara Airport. Fast Track through the Airport.